In a rare mea culpa on Friday, Fox News anchor Neil Cavuto took responsibility for appearances by a recurring guest who has been charged with falsely claiming that he worked for the CIA. "I will make doubly sure something like this never ever happens again," Cavuto said. 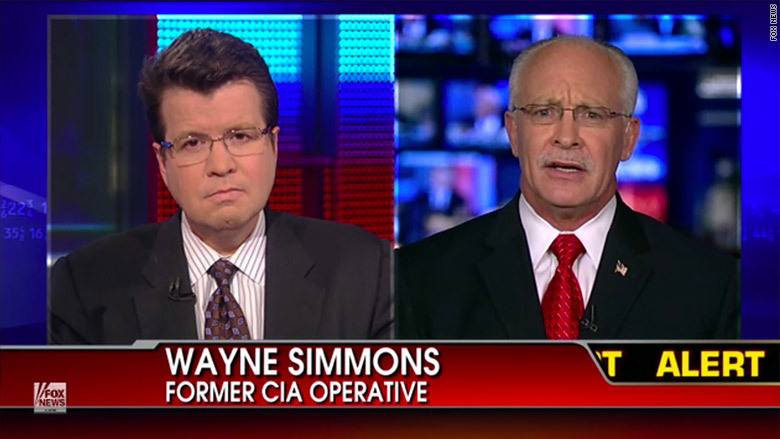 The anchorman's comments came one day after conservative commentator Wayne Simmons was arrested. Simmons periodically appeared on Fox for over a decade, most often on Cavuto's 4 pm program "Your World." He was usually identified as a "former CIA operative." But federal prosecutors say his claims of 27 years of CIA experience were false. Simmons has been charged with using the false CIA claim to gain a government security clearance and a position with a defense contractor. If convicted, he faces up to 35 years in prison. Cavuto, who is both a Fox senior vice president and an anchor, ended his Friday broadcast by saying "a frequent guest on this show might not have been who he purported to be." He described the charges and said, "If it's true that all our due diligence and vetting on Mr. Simmons missed this, that's big, and that's on me and only me." Cavuto continued: "You, as viewers, have little reason to be comforted by the excuse that Mr. Simmons might -- and I stress might -- have fooled many others, including no less than former Defense Secretary Donald Rumsfeld." BuzzFeed noted on Friday that Simmons was part of a Rumsfeld-era program to provide briefings and tours to television analysts. "The responsibility to check out who comes on this show ultimately lies with me," Cavuto said. So "if I wasn't thorough enough or followed up enough, it's on me, and I apologize," he said. "You have a right to expect guests who appear here to be who they say they are. Now, it's a very rare slip up, but it's a very big slip up, and I will make doubly sure something like this never ever happens again. I value your trust and I promise, I promise, to work very hard to regain it." Cavuto's statement was personal in nature and didn't address Simmons' appearances on other Fox News television and radio shows. There are dozens of search results for his name on Fox's web site. A Fox spokeswoman said Thursday that Simmons "was never a contributor for Fox News," a distinction that is reserved for regular commentators who are paid. The spokeswoman didn't elaborate after Cavuto's remarks on Friday afternoon.